How did Garry oak ecosystems evolve? Garry oak woodlands are an important link to the past. Garry oak distribution has ebbed and flowed between the ice ages. During the current post-glacial period, Garry oak forests reached their largest extent during the warm dry era, 5000 to 8000 years ago. Before the ice ages, British Columbia also had a varied hardwood forest with many kinds of deciduous trees, including oaks. While deciduous woodlands may not be as familiar to many British Columbians as coniferous ones, they are one of the most common vegetation types in the temperate climates of the world. The advent of the current wetter, cooler climate changed the distribution of many plant species and reduced the range of some. This change in climate probably accounts for the patchy occurrence of Garry oak ecosystems and their associated species. Their ability to survive on well drained soils, on steep south and west facing slopes, and on sites with exposed bedrock accounts for their present distribution in today's Mediterranean-type climate. The important exception is the deep-soil parkland of southeastern Vancouver Island. 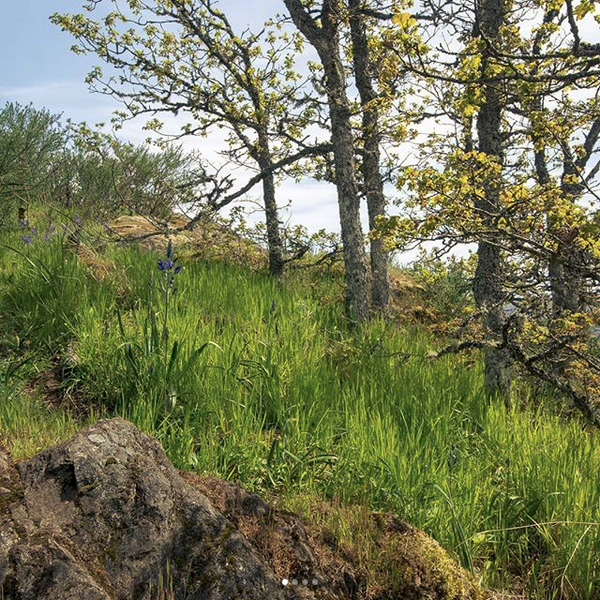 What is the relationship between First Peoples and Garry oak ecosystems? Aboriginal people tended the Garry oak ecosystems, using fire and cultivation as management tools. Garry oaks and the plants that grow with them adapted to frequent fires. Fire is important because it allows oaks to occupy deeper soils, where conifers might out-compete them. Oaks are favoured over conifers and annuals; and perennial plants over shrubs in places that often burn. We know that local First Peoples burned the plants under the oaks throughout their range to maintain open prairie, to make hunting easier, and to allow the land to produce more food. The edible bulbs of camas and other species were the focus of the plant harvest. 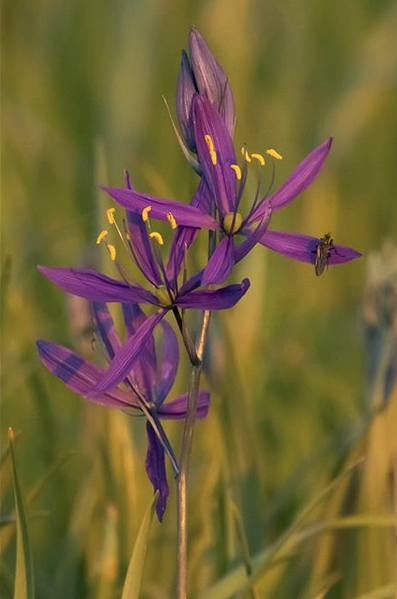 Camas was so important in their diet that families had their own plots of woodland where they owned the harvest. So important were these plants that the Victoria area was originally known as Camosun, or "place to gather camas." Deer in Garry oak ecosystems were also important to First Peoples. Blacktail deer are still residents of oak habitat, and Roosevelt elk formerly roamed southeastern Vancouver Island. These animals helped maintain the open character of the Garry oak landscape by suppressing some oak regeneration. Oak seedlings are repeatedly browsed and sometimes killed. Present loss of Oak seedlings far exceeds regeneration. What were early European impressions of these ecosystems?